Oh cool, I didn’t know about this. Maybe next year I’ll do it. 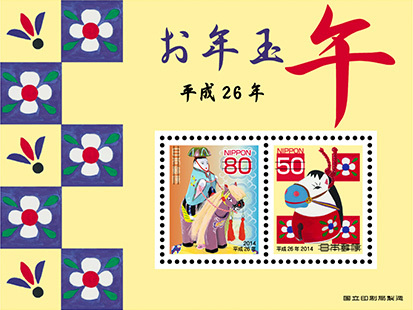 Sending 年賀状 (New Years Postcards) in Japan is a kind of obligation. If you decide to begin sending them to American friends and family, that’s different. But if you send them to Japanese people, there are rules / customs that are followed (as with most things in Japan)…so consider carefully. I will look further into it..thank you! How to write them, what type of card to use, what to write, when to send them, what to do if there is a recent death in one’s family…are all factors. And more. I just checked my 2014 postcards. I got two winners … both of them for postage stamps – again.